One out of every eight automobile-related deaths in America and 4% of all auto accident injuries involve large commercial vehicles. These accidents are typically very serious in nature. Trucking accidents include any accident caused by or involving tractor-trailers, 18-wheelers, semi-trucks or any other type of large commercial vehicle. Such vehicles often weigh in excess of 10,000 lbs. Even at slow speeds an accident with one of these vehicles can cause catastrophic injuries or even death. There are thousands of trucks of all sizes on the road at all times, each one pushing to meet strict delivery deadlines. Often, the cause of truck or 18-wheeler accidents is driver error stemming from these deadlines. The National Transportation Safety Board (NTSB) is charged with enforcing safety regulations designed to keep those using the nation’s highways safe. 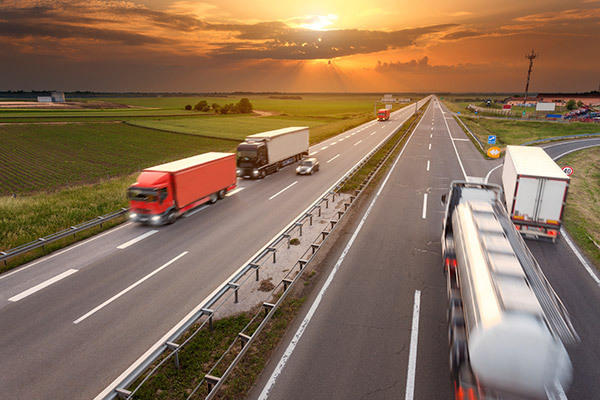 They have recently stated that trucking safety should be a higher priority at a time when fatalities connected with truck accidents have increased for four years in a row. The trucking industry is crucial to the economy of the country but safety should not take an inferior precedence to safety. Yet due to pressure to move goods, drivers do speed, drive too many hours between breaks and operate vehicles that should be down for maintenance. Yedidsion Seber Yedidsion LLP has a team of legal professionals focused on getting their clients full compensation for violations of NTSB regulations resulting in injury and death. Retaining a veteran truck accident attorney is the best way of protecting your rights and obtaining full financial compensation for your injuries and losses. Do not make the mistake of accepting a hasty settlement offer provided by the attorneys for the trucking company. At the very least, consult an independent attorney with experience dealing with truck accidents to evaluate the offer. If you or a loved one have been injured in a truck accident, the attorneys representing the trucking company will be preparing their defense while you are recovering from your injuries. Attorneys representing the trucking company will be interviewing witnesses, gathering evidence and preparing their case to exonerate the truck driver. To keep legal costs down, national trucking companies keep an accident response team of attorneys on retainer to ensure they are immediately aggressively preparing for a damages claim. Beside driver error, slipshod maintenance or truck equipment defects as well as improperly marked roadways can cause truck accidents. After a major truck accident involving injury or death, there will be a team of attorneys representing many parties including the trucking company, the company that manufactured the truck, the engine, and the tires as well as any city or state departments potentially responsible. Therefore, you will need to act fast to preserve your right to receive adequate compensation for your injuries and losses. It is vital that you retain a knowledgeable, aggressive truck accident lawyer to counter their efforts to place the blame on you. Each state has different laws and regulations that only a local experienced attorney will know. Let the lawyers at Yedidsion Seber Yedidsion LLP ensure that your right to compensation is protected and that you will not be further victimized by the justice system. At Yedidsion Seber Yedidsion LLP, the truck accident lawyers are skilled and experienced at preventing aggressive tactics by defense attorneys who are only interested in reducing the financial exposure of their client. Our truck accident attorney office prepares each case as if it will be tried before a jury. This meticulous strategy ensures that we are always well prepared to represent your interests. According to the National Highway Traffic Safety Administration, approximately 12-13% of fatal accidents involve large trucks. Falling asleep while driving, overloaded or unbalanced loads, poorly maintained vehicles and alcohol use are some of the common causes of these accidents. Often the big rig driver is not injured, yet the victims of the accidents suffer life-changing injuries. Our truck accident attorneys in Los Angeles are highly accomplished, and experienced at getting you full recovery for your medical expenses, pain and suffering, and lost wages. If tragically, you have suffered the loss of a loved one, we can bring a wrongful death lawsuit against those responsible. These cases require a higher level of skill in calculating monetary loss going into the future, particularly if the loss involved the major income earner in the family. Many times the opposing attorneys will attempt to negate the value of the deceased to mitigate their losses. Yedidsion Seber Yedidsion LLP has an entire team of dedicated professionals who can document and pursue fair compensation for the loss of a loved one. We have accountants well versed in calculating future income needs, industry professionals who not only have the experience but also have the respect of the court to effectively present a fair picture of the actual monetary loss associated with the truck accident. An accomplished truck accident lawyer will understand state and county law and will coordinate the team to get the best possible compensation for the victims of truck accidents. We offer a free initial consultation where an experienced attorney will evaluate your case and advise you on your best course of action so that you obtain the financial compensation you deserve. Call us today at 310-402-2775 so we can get started. At Yedidsion Seber Yedidsion LLP, our personal injury lawyers work diligently with our clients to achieve the maximum settlement while protecting your legal interests every step of the way. Let us evaluate your case today, at no charge.